I’ve dealt with Java services at Amazon too long when I can spot one by the CPU/memory signature. This is pretty typical of a long-running service garbage collecting with old generation objects. 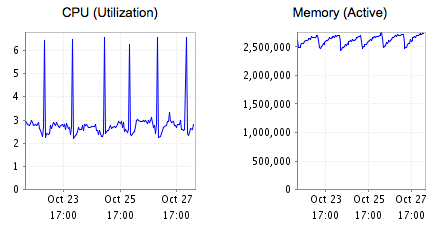 Note the CPU utilization as the VM removes old generation objects and subsequent drop in memory utilization.